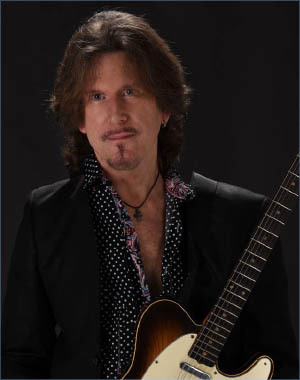 Growing up in South Florida and playing in bands from the age of 13, Wayne became a professional guitarist after high school and never looked back. Working nightclubs all around the country from the early 1970’s on, and playing a wide variety of Soul, Rock, Funk and R&B, he perfected his craft and became the band leader of some of the top bands in S. Florida. Wayne has been an active music producer for the last 15 years. He teamed up with legendary songwriter Richie Supa (Aerosmith, Bon Jovi) in 2001. Together they wrote and produced songs for Steven Tyler, Pink, Richie Sambora, and a host of other amazing recording artists.